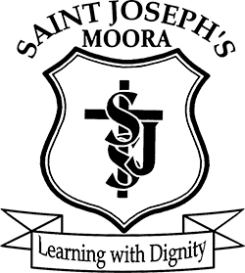 St Joseph’s School is a community growing together in harmony and faith in Jesus. Develop Gospel values and foster a relationship between Jesus and the children. Provide opportunities for the students to develop their potential spiritually, intellectually, physically, socially, creatively and emotionally. Create an atmosphere to promote respect and sensitivity towards culture. Live together with confidence and optimism. Encourage communication and activity between Parents, Teachers, Students, Parish and Community. Promote an awareness of the need to respect and care for each person and all creation. Their heritage and their Australian identity. Rules and laws in maintaining an effective society. Different social and cultural groups throughout the world. The structure of English language as needed for everyday life. The natural environment and environmental sustainability. Acceptable standards of social behviour. The origins and history of Christianity and elements of other religions. Their uniqueness, gifts and capabilities. The functioning and care of the human body. Making informed and responsible decisions. Interacting in socially acceptable ways. Keeping clean, healthy and fit. Team work & Collaborative Learning. Treating others and their culture thoughfully and with repect. Reasearching to gain knowledge and understanding. Being critical of the mass media. Being involved in the activities of the Catholic Church. Being personally committed to Christ and his way of living. Their own cultural heritage and that of others. Being honest, reliable and trustworthy. Accepting responsibility for one's actions. Caring for the school environment.